March 9th, 2017 – BIG – Bjarke Ingels Group has further strengthened its in-house capabilities by hiring Duncan Horswill—former CCO at Søren Jensen Engineers—to lead BIG Engineering, a new specialized unit dedicated to ensuring the structural, mechanical integrity and resilience of BIG buildings globally. Newly minted BIG ENGINEERING is currently working on a wide range of projects, including the new NOMA restaurant in Copenhagen and the Faroe Islands Education Centre. 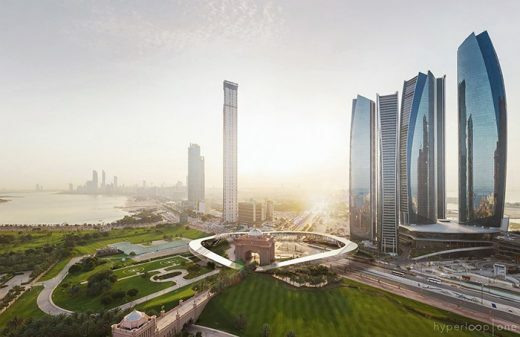 BIG will continue to collaborate with external engineering firms, including long-time collaborators AKT, ARUP, DeSimone, Thornton Tomasetti, BuroHappold, Schlaich Bergermann Partner, Bollinger + Grohmann, Ramboll, MKA among many others. “At BIG we practice knowledge-driven design. We have been fortunate to work with some of the best urbanists, landscapers, sociologists, artists and engineers in the world, and will continue to do so. To be able to stretch the boundaries of the physical, financial, regulatory and environmental limits of design, we need to surround ourselves with the best experts in the fields outside our own expertise in architecture, and bring them in-house. As we started onboarding our own engineers, we have learned how much more impactful our design thinking can be when the expertise resides internally. Having engineers join our group of architects, product designers and landscape architects is the inevitable next step towards providing the silo-shattering interdisciplinary design innovation that we want to bring to the world.” Bjarke Ingels, Founder, BIG. Duncan Horswill joins us as Director of BIG Engineering. Duncan was previously CCO at the Copenhagen-based office of Søren Jensen Engineers, where he led the Competitions Team to win a number of high-profile projects in Denmark and overseas. 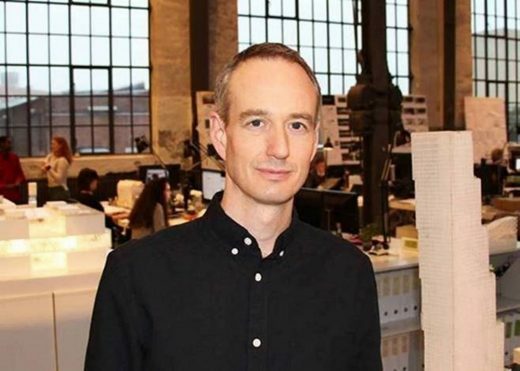 Prior to, Duncan co-founded the Computational Design Group at Ramboll UK, where he spearheaded a group of engineers and designers’ common ambition to explore how digital technology might resolve structural engineering and architectural design challenges. Duncan’s approach to engineering focuses on integrating technical knowledge into the architectural design process from day one, to co-create building concepts and elevate them to a new level. He advocates using a wide range of tools from analog sketching and physical modelling to high-tech computational design and digital fabrication. Notable projects include BIG’s Astana National Library and Tallinn Town Hall. Duncan will be responsible for building BIG Engineering’s capabilities across the firm and ensuring the highest level of creative engagement and technical excellence. “This is a fantastic opportunity to work once again with BIG at the highest level of design. Over the past 19 years I have enjoyed working on some of the world’s most ambitious developments and projects for a range of architects and clients. 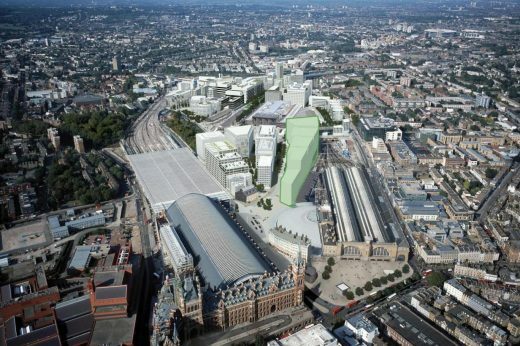 I am now looking forward to breaking down the traditional barriers that have existed between architects and engineers, and to helping redefine the role of the engineer, not as a problem solver but as a genuine creative force who’s aim is to explore, not to reduce.” Duncan Horswill, Head of BIG Engineering. While engineering has always been a vital part of the design process, BIG has more recently developed technical skills with the establishment of BIG Ideas. This specialist group works closely with architects and in-house disciplines in industrial design, workplace consultancy and materials research to bring wide-ranging expertise to every project. “Having realized more complex and unprecedented design concepts in the past few years, we have learned that we can be in a better position to save our clients time and money when we have a BIG Engineering team capable of predicting and resolving challenges ahead of time. BIG Engineering will focus on securing the integrity of each project’s design concepts by bringing the structural and mechanical elements into every aspect of the design gestation.” Sheela Maini Sogaard, CEO & Partner, BIG. 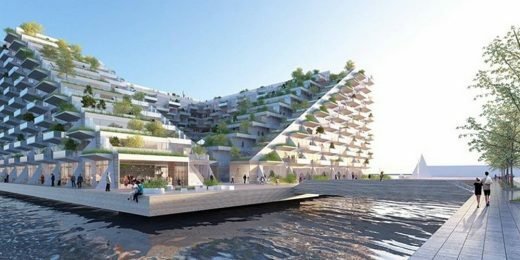 As one commentator memorably put it, theory meets pragmatism, meets optimism in the architecture of Bjarke Ingels. All three were on display last night when he spoke at the Australian Institute of Architects in Sydney at an event sponsored by HASSELL. So were the creativity and passion he brings to a wide range of urban renewal and development projects, not just in Denmark where he originates from, but also in Europe, North America and China. Ingels heads up the Bjarke Ingels Group (BIG) which has been invited by HASSELL to visit Sydney to explore the potential for future project collaborations. The common design values and easy fit between BIG and HASSELL make it a powerful team. Bjarke Ingels originally wanted to be a cartoonist, and only began to study architecture in 1993 to help improve his drawing skills. He is obviously still interested in cartooning: his ‘Yes is More’ manifesto is available in comic book form. He has put his manifesto into practice in a wide range of innovative, award-winning projects, often with collaborators. – an innovative public park in the Nørrebro district of Copenhagen, stretching 750 metres. Many of the objects in the park come from other countries that represent the ethnic diversity of the neighbourhood. They include swings from Iraq, benches from Brazil, a fountain from Morocco and litter bins from England. 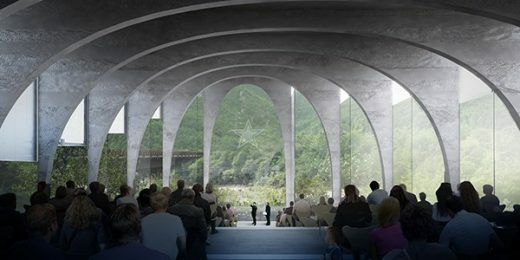 Ingels’ concept of ‘hedonistic sustainability’ is nowhere more evident than in one of the projects he is currently working on – a waste-to-energy plant that will have ski slopes on the roof. The unlikely combination of green energy and alpine sport was the winning bid in a competition to design a new waste-to-energy plant which aims to be one of the cleanest in the world when it opens in 2016. In October 2011, the Wall Street Journal named Ingels the Innovator of the Year for architecture. This year, the same newspaper said he was ‘rapidly becoming one of the design world’s rising stars’. BIG + Kollision + Schmidhuber & Partner team up to bring BIG’s vision of future urban mobility to life for AUDI at Design Miami / 2011, running from November 30th through December 4th adjacent to Art Basel Miami Beach. BIG originally presented the concept as an entry for the 2010 AUDI Urban Future Award introducing a future city paved with a digital surface that liberates the streets from existing boundaries and allows for a new flexibility of public use. The 190 m2 three-dimensional LED installation provides a glimpse of the future city where the public space is shared between pedestrians and driverless cars. The entire surface would be infused with a continuous flow of information allowing for real-time interaction between vehicles and their environment. Mounted above the Design Miami installation, 3D cameras track the movement of passers-by processing the data into a generative artwork that feeds back into the LED panels. “Our pavilion for AUDI renders visible the invisible forces that flow through our city – the driverless car is relying on sophisticated sensory and computational technology that constantly observes and calculates the dynamic space that the living city constitutes. The result is an architecture of movement whose forms have not been predetermined by the architect but are constantly being recomposed by the people populating the pavilion.” Bjarke Ingels, Founder & Partner, BIG. “The Mountain Dwellings are the 2nd generation of the VM Houses – same client, same size and same street. The program, however, is 2/3 parking and 1/3 living. What if the parking area became the base upon which to place terraced housing – like a concrete hillside covered by a thin layer of housing, cascading from the 11th floor to the street edge? Rather than doing two separate buildings next to each other – a parking and a housing block – we decided to merge the two functions into a symbiotic relationship. The parking area needs to be connected to the street, and the homes require sunlight, fresh air and views, thus all apartments have roof gardens facing the sun, amazing views and parking on the 10th floor. The Mountain Dwellings appear as a suburban neighbourhood of garden homes flowing over a 10-storey building – suburban living with urban density”. March 10, 2017 in Architects.